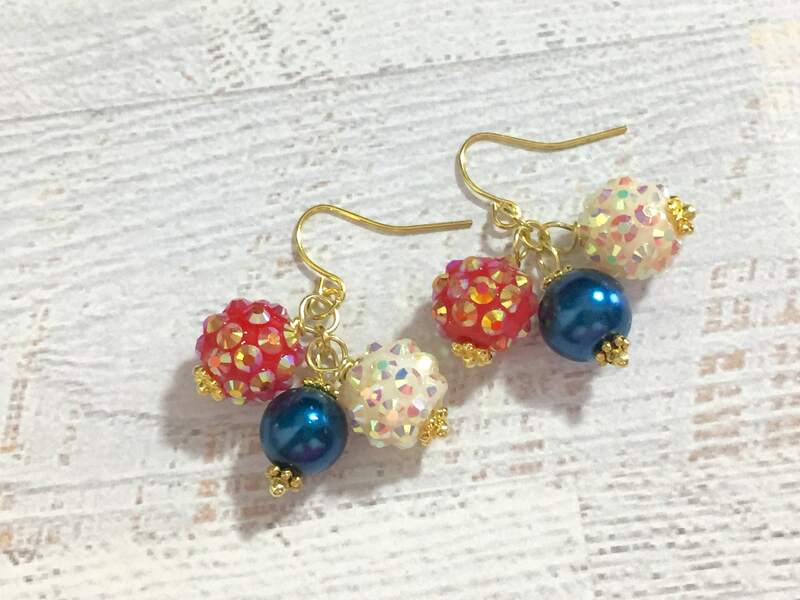 Celebrate Independence day this 4th of July with these sparkling rhinestone and pearl cluster dangle earrings. 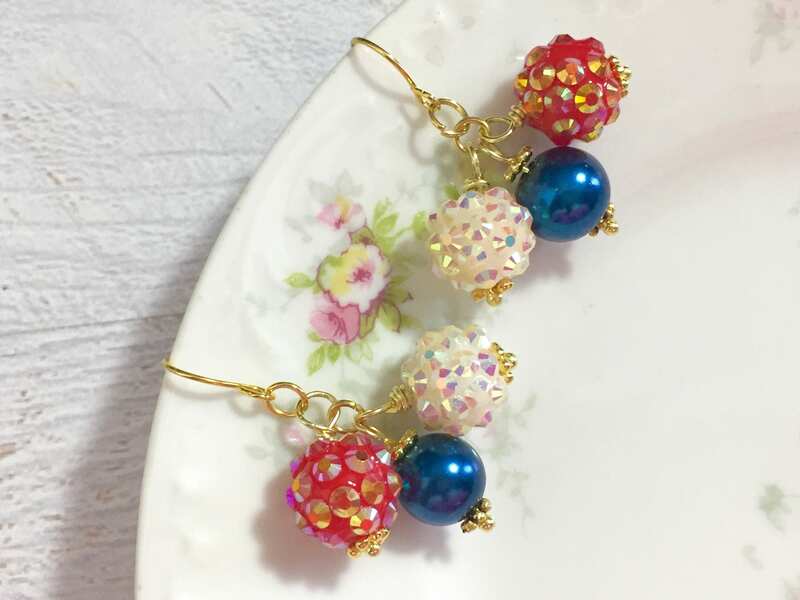 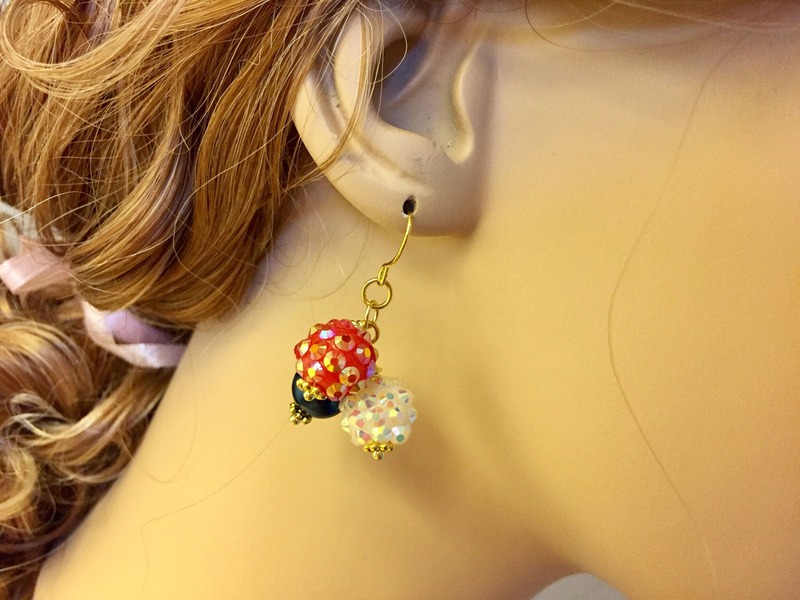 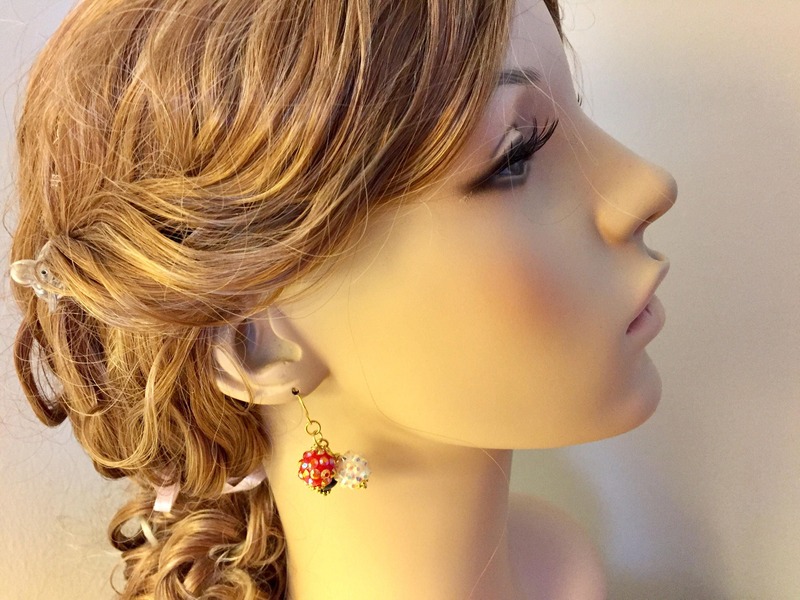 I made these with chunky resin rhinestone beads in white and red, blue glass pearl beads, gold toned findings and gold toned surgical steel ear wires. 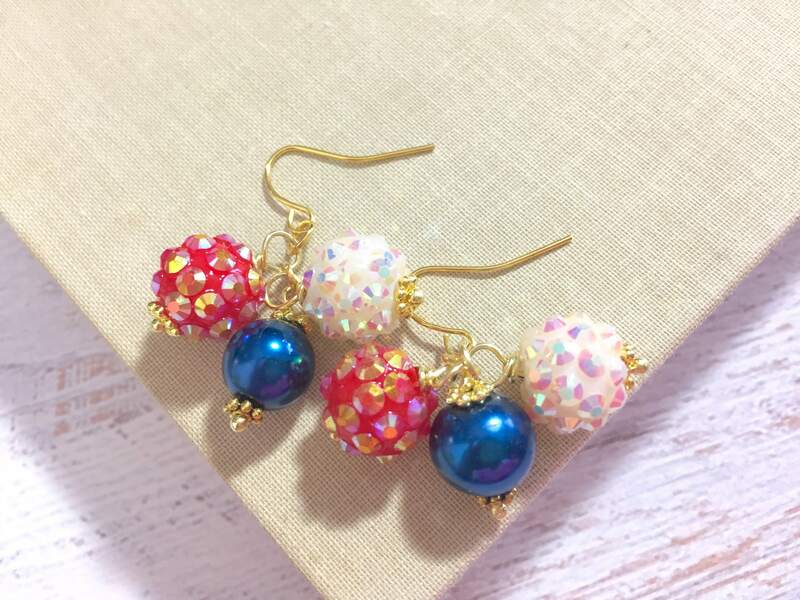 These earrings dangle about 1 3/8 from the top of the ear wire to the bottom of the lowest hanging bead (this changes as they swish around).